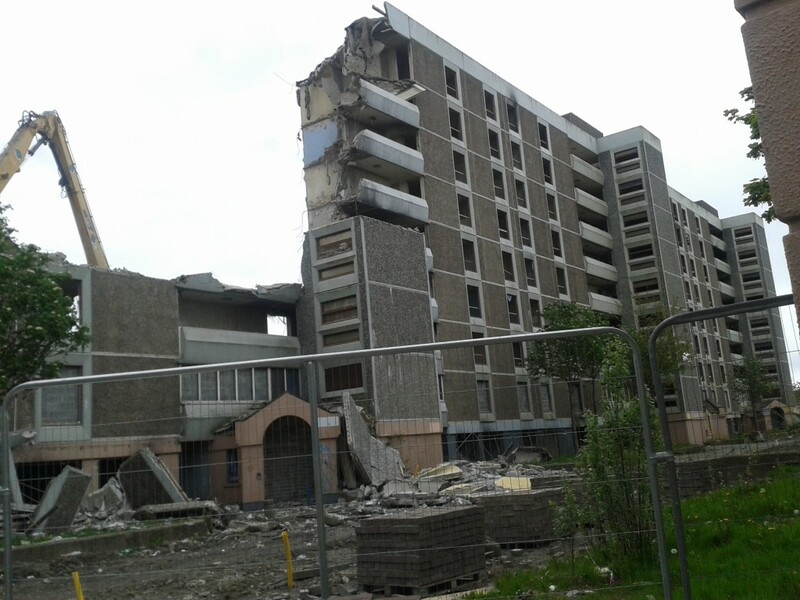 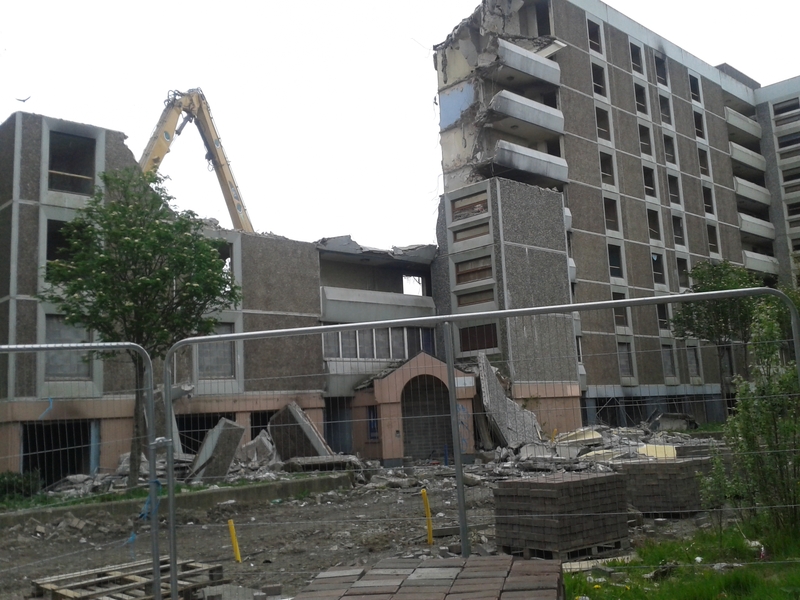 Just a quick status update on the demolition of the flats in Ballymun, which – while sad for me, as my childhood home is inside one of the blocks – is a job that needs to be done to ensure further regeneration. 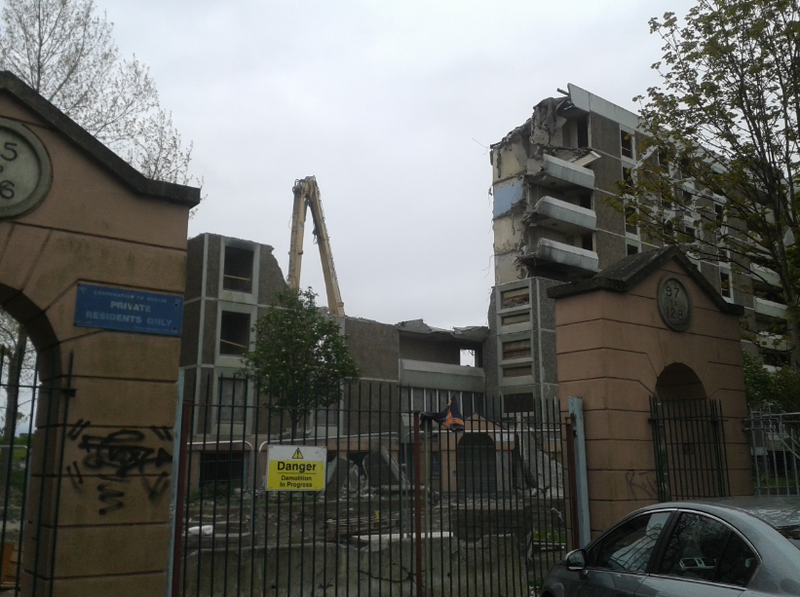 There has also been serious dumping issues around the site, which need to be cleaned up and monitored. 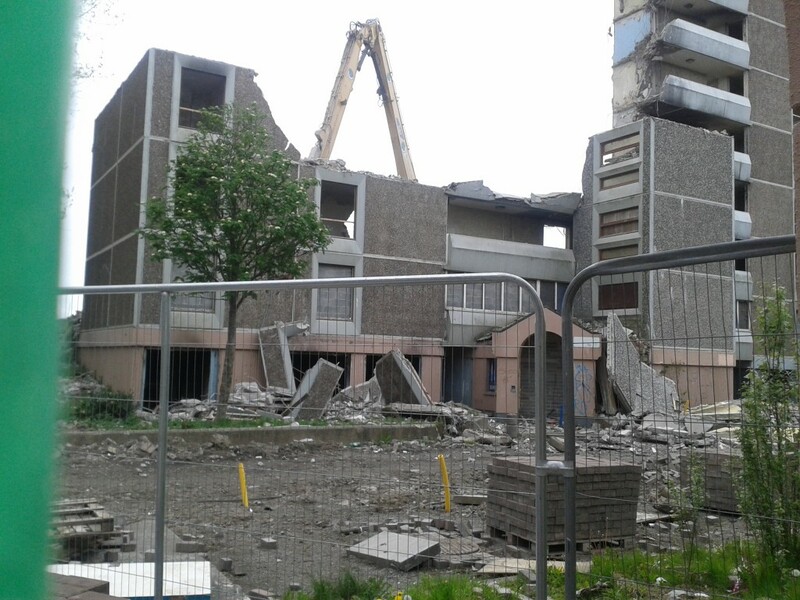 The physical demolition of the blocks started last Thursday, 14th May, beginning with block BA8G. 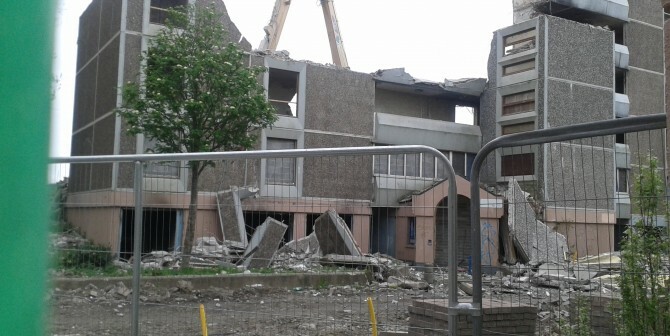 The contractor is confident that he will meet the completion date of the end of Oct 2015.